Nestled in the Foothills of the Berkshires, Burlington, Connecticut is steeped in history and community. It boasts some of Connecticut’s greatest natural beauty, forest, and watershed land that includes the most scenic stretch of the Farmington Valley Trail along the river. One of Burlington’s precious treasures is the hundreds of acres of forest named Sessions Woods which hosts a vibrant learning center and a series of trails used by residents and visitors alike. While traveling thru the scenic hills of Burlington you will come across rustic barns, historical buildings, a spring-fed Fish Hatchery along with acres of open space which adds to our natural charm. Burlington truly is a gem of Connecticut. District 10 schools serve the Connecticut towns of Burlington and Harwinton Lewis S. Mills High ; the four schools in the system include Har-Bur Middle School, Lake Garda School and the Harwinton Consolidated School. Together these schools have a total enrollment of more than 2,800 students. Burlington Connecticut offers many interesting places to visit within and around the community; Hogan Cider Mill hosts visitors through the year with seasonal specialties, while LaMothe’s Sugar house invites visitors to experience the making of maple syrup in the late winter months. 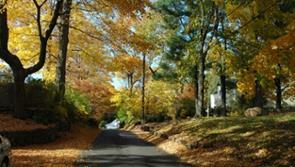 There are also many hiking trails throughout the town and Farmington Valley. Mills Pond Park is a short drive away that offers swimming and hiking. If you’re looking for a night out, Burlington is in close proximity to Hartford, CT, but there are also plenty of restaurants and shops in Burlington, CT. It is truly a wonderful town with natural beauty, great dining and convenient shopping centers! 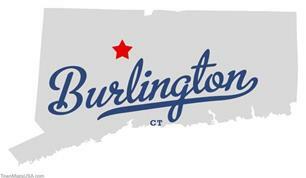 Farmington sits 10 miles west of Hartford at the hub of major I-84 interchanges, 20 miles south of Bradley International Airport and 2 hours by car from NYC and Boston. The town has retained its distinct character through progressive land use planning and maintenance of its historic districts. 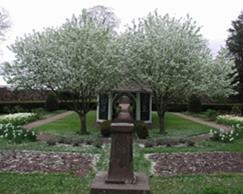 Farmington is home to the Hill-Stead Museum. The museum holds an impressive collection of Impressionist paintings. The town is also home to Miss Porter’s School, UConn Health Center, scenic views, hiking trails and parks. It is also included as part of the Farmington Valley. Farmington is a great location and has some incredible restaurants and some of the most unique and upscale boutiques in New England. Westfarms Mall, which is the largest shopping center in Farmington, has great offerings from retailers such as Nordstrom and Lord & Taylor, along with many others. A spectacular recreations opportunity, the Farmington trails system is used by outdoor lovers for scenic walking, jogging, inline skating, and biking. Once an old railroad bed, the trail system is handicap accessible, paved, and reachable through several locations in town. The Town of Farmington is committed to “green” efforts including energy conservation, renewable resources, recycling, and other environmentally friendly practices. It is the Town’s desire to establish a leadership role in the community in pro-moting environmentally friendly practices in town. Farmington offers natural beauty, deep history, plenty of culture and a convenient location.